MET Opera Live! 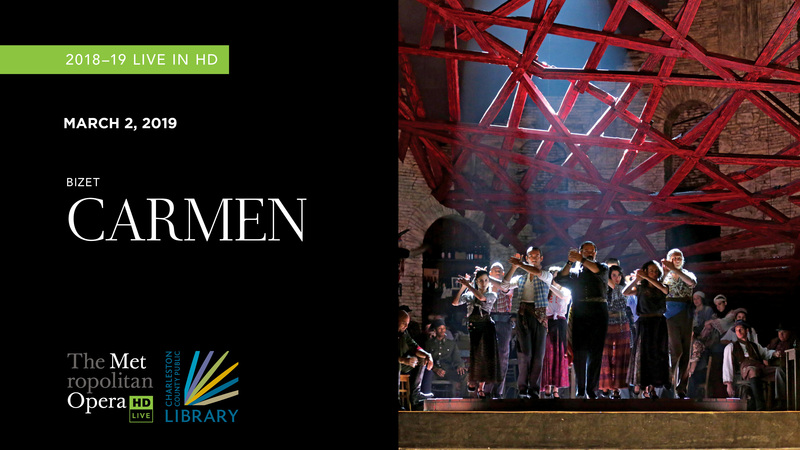 at Main: Bizet's "Carmen"
About this performance of "Carmen"
Mezzo-soprano Clémentine Margaine reprises her remarkable portrayal of opera’s ultimate seductress, a triumph in her 2017 debut performances, with impassioned tenors Yonghoon Lee and Roberto Alagna as her lover, Don José. Omer Meir Wellber and Louis Langrée share conducting duties for Sir Richard Eyre’s powerful production, a Met favorite since its 2009 premiere.